The space debris problem continues to grow as diplomats move at a snail’s pace to take remedial steps. Every piece of space debris about the size of a marble is a lethal weapon, traveling with the approximate energy of a one-ton safe dropped from a five-story building. Anything struck by a debris fragment this size will create a new mutating, lethal debris field. 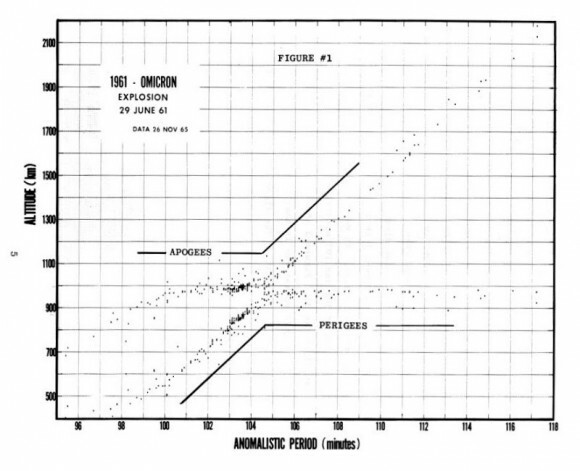 NASA’s Donald J. Kessler co-authored a seminal article in 1978 [Journal of Geophysical Research, Vol. 83, no. A6, June 1, 1978] which forecast that pin-ball effects created by successive collisions would eventually make low Earth orbit unsustainable for space operations. Wake-up calls abound. The indispensable industry trade weekly, Space News, reports in its October 6th issue that space-faring nations are doing a “mediocre job,” especially in low Earth orbit, of respecting voluntary guidelines on debris mitigation endorsed by the United Nations in 2007 after almost two decades of deliberation by the Inter-Agency Space Debris Coordinating Committee, a consortium of space agencies from almost all major space-faring nations. A study by the French space agency, CNES, concluded that 40 percent of the satellites and rocket bodies launched from 2000-2012 will not meet voluntary guidelines. Man-made weapons already exist in space – over 25,000 of them – in the form of lethal debris fragments. In contrast, there are no confirmed man-made weapons in space purposely designed to kill another satellite. The International Code of Conduct drafted by the European Union is designed to tackle the first problem. A draft treaty proposed by Russia and China is focused on the second problem. While the “Kessler syndrome” is becoming a reality, diplomats sonorously argue over the merits of these two approaches. The EU’s draft International Code of Conduct would strengthen norms for debris mitigation, including debris created by kinetic energy anti-satellite (ASAT) tests. The EU’s draft also seeks to set and strengthen norms relating to no harmful interference against objects in space, the development of space traffic management procedures and the establishment of consultative arrangements. Beijing and Moscow agree in principle to the need for a Code, but they aren’t ready to become stakeholders. Instead, they proffer a draft Treaty on Prevention of the Placement of Weapons in Outer Space, which harkens back to the old Soviet campaign against Star Wars. This treaty’s language is imprecise and its provisions unverifiable on key matters. Nor does it dwell on the most urgent threats to satellites – weapons in the form of debris that is already up there, as well as ground-based means to mess up satellites. India, like Russia and China, is not yet ready to endorse the International Code of Conduct. New Delhi is moving in this direction, as is evident by Indian Prime Minister Narendra Modi’s speech in September at the UN General assembly declaring, “We should ensure that there will be peace, stability and order in the outer space and cyber space. We should work together to ensure that all countries observe international rules and norms.” But South Block remains unsatisfied with the EU’s handiwork – on procedural rather than substantive grounds. The EU wasn’t inclusive enough, and New Delhi wants a legally-binding instrument, not a voluntary Code of Conduct. The draft Code of Conduct does not prohibit the placement of a single weapon is space. Can you tell me what constitutes a “weapon” and how you can confirm that one has been placed in space when the launching state denies it? And what about the 25,000 or so weapons that already exist in space in the form of debris fragments large enough to produce more cataclysmic, debris-generating events? The draft Code includes language affirming a nation’s right to self-defense. And so does the UN Charter. What do you expect – nations to forego the right of self-defense? And if these words aren’t in the Code of Conduct, which states would give up this right? Reaffirming the right of self-defense will encourage pre-emptive war in space. States have insisted on the right of self-defense since the space age began without blowing someone else’s satellites to smithereens. These capabilities exist and won’t go away, but have yet to be used because ASAT warfare could be ruinous for everyone. Wars to pre-empt emerging threats here on Earth haven’t turned out so well lately; they won’t in space, either. Deterrence, peaceful preventive measures, common sense and national interest, codified by norms, can help prevent satellites from being attacked. A Code of Conduct will not stop ongoing military space programs that are becoming more worrisome. Granted, the Code of Conduct won’t stop programs worth worrying about, just as treaties mandating deep cuts in strategic nuclear forces don’t stop modernization programs. Accomplishing something worthwhile is better than not accomplishing anything. Would you prefer more or fewer rules of the road for the sustainable use of outer space? A Code of Conduct isn’t good enough. We need a treaty banning ASAT tests, especially “hit-to-kill” ASAT tests that produce mutating debris fields. Everything in space and lots of things on the ground are potential ASATs. How do you ban multi-use technologies that have ASAT potential? Or tests that have utility for ASAT purposes but which are labelled as being for something else, like missile defenses? A “hit to kill” ASAT test ban is verifiable and useful, but it won’t stop ASAT testing designed to miss. Nonetheless, an explicit norm banning kinetic energy ASAT testing is worth including in the Code of Conduct. A Code of Conduct will discriminate against newer space-faring nations. Debris does not discriminate. Newcomers, like pioneering space-faring nations, have equally strong reasons to set and strengthen norms to mitigate debris, stop debris-causing ASAT tests, reduce harmful interference of all kinds, and to establish space traffic management procedures. We need a legal instrument, not rules of the road. Treaties are great. Ambitious, multilateral treaties now take decades to negotiate and enter into force. The treaty banning all kinds of nuclear testing has taken over fifty years – and counting – to reach this finish line. Why not accomplish something useful quickly, like strengthening norms that could, over time, become customary international law? We need an international negotiation under the UN’s auspices to perfect a Code of Conduct rather than something cooked up by the European Union. All right, if you insist. Let’s investigate whether the EU’s draft can be improved with practical, non-faith-based fixes that can be negotiated quickly. But let’s not replace the EU’s open-ended consultations with never-ending negotiations, as non-serious complaints about the Code suggest. Essential norms aren’t strengthened by waiting for stragglers – especially states that offer weak arguments not to act against the clear and present danger that debris poses to all space-faring nations. Will diplomats still be haggling between a Code of Conduct and a space treaty eight years from now, when the newly-completed Chinese space station takes a catastrophic hit from a debris fragment dating back to the 2003 Chinese ASAT test? Or whenever another collision brings all space-faring nations closer to the Kessler syndrome? Note to readers: A shorter version of this essay appeared in the December 16th issue of Space News. Sorry, the page you’re looking for is not here. We have failed you and we sincerely apologize. If you’re looking for something in particular, try using the search form on the left sidebar or browse the global archives.